Jibrel Network recently announced the successful completion of their token presale, during which US $3,219,299 was raised and 19,985,292.57 Jibrel Network Tokens (JNT) were sold. The Jibrel Network is the first decentralized protocol that places traditional assets, such as currencies, bonds, equities and commodities on the Ethereum blockchain, thereby leveraging the cost efficiencies associated with storing and transacting digital assets. On the Jibrel Network, asset-backed tokens are called CryptoDepository Receipts (CryDRs). These ‘Smart Tokens’ can be used for remittances, global payments, trading, and hedging. In addition, CryDRs have regulation embedded, ensuring all token transfers on the Jibrel Network are always fully KYC / AML compliant. 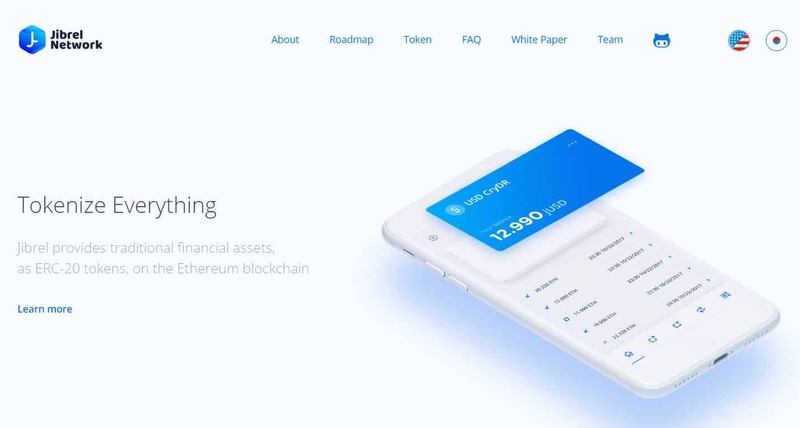 Whilst other players have looked to connect the traditional and crypto-economies, none have successfully introduced a comprehensive or holistic solution like Jibrel’s due to their inability to develop an institutional-grade platform. The leadership team has leveraged their combined thirty plus years’ experience in working with financial securities for leading management consultancies, Deloitte, PwC and Oliver Wyman to build the platform. “For companies looking to incorcomprehensive or holistic solution like Jibrel’s due to their inability to develop an institutional-grade platform. The leadership team has leveraged their combined thirty plus years’ experience in working with financial securities for leading management consultancies, Deloitte, PwC and Oliver Wyman to build the platform. heir operating models, integration can be a challenge. Our solution allows institutions to use tokens in the back-end, capitalizing on the benefits of blockchain, without the need to build-out dedicated functionalities and competencies.” commented Yazan Barghuthi, Jibrel Network’s project lead. Jibrel have also announced the launch of their token sale, which will commence on November 27th, 2017. The sale will provide investors the opportunity to purchase Jibrel Network Token (JNT), the underlying token powering the Jibrel network. Jibrel AG is a Public Limited Company, registered in Zug, Switzerland.